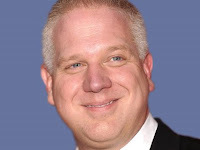 The Glenn Beck Review: Beck reacts to V.P. Gore's call for an "American spring"
Beck reacts to V.P. Gore's call for an "American spring"
Earlier this week on Countdown with Keith Olbermann, now on Current TV, channel owner and former V.P. Al Gore called for an uprising in the United States, an "American spring." Glenn Beck got wind of this and reacted on his radio show and website. Analysis follows. Via Current TV, here's part I of Olbermann's interview with Al Gore discussing the state of American politics. Starting with Beck's screaming, he again comes across like a disturbed, self-righteous dry-drunk. Screaming "George Soros" about Gore's call for an American uprising makes no sense because there is no one at this point to even accept funds if Soros is even aware of an "American spring." It worked well to distract the listeners from the billionaire support and funding for the Tea Party though, and isn't that really the job of a self-proclaimed "rodeo clown?" He has audacity to claim that "they're living in insaneville." Really. It gets better or worse depending upon your support or disdain for Mr. Beck. "Nobody would believe...the story line," Beck said about Soros. That is because Beck's story about George Soros is fiction. Soros did fund the Tides Foundation, but they are not the ones calling for an American spring. This connection from Gore to Soros is in Beck's paranoid mind. That's the style that Beck is famous for. That, fear-mongering, hate-mongering, propaganda and the conspiracy theories that describe no illegal activities. What Beck falsely called "Crime Inc." was his sleazy phrase for Democratic coalition politics. According to Beck, the American spring is the Tea Party. The Beck guided, misinformed and promoted Tea Party is the American, reactionary backlash against Obama. What Gore is calling for is a democratic, progressive movement to struggle against that reactionary backlash. "The green shoots are the Tea Party." The irony is that the Tea Party, or at least Glenn Beck, is anti-green, anti-sustainable development and supportive of grey, dirty technology and the fossil fuel industries like Koch Industries that contribute to global warming, the slow-motion train wreck described by the vast majority of climate scientists that Beck calls "nonsense." Who's living in insaneville? When Beck says that the Arab Spring is "about to go into the violent part," it's clear that he's not been watching the news (ignorance) about the violent, government crack down on the movement in Syria. He also doesn't mention that last April, this violence in the Middle East was predicted by Beck to happen in late June. Stu's ideas about the left "hating billionaires" is more ignorance. To be sure, the far, communist left, would like to see an end to ALL billionaires including Soros, but the liberal left just wants millionaires and billionaires to pay their fair share of taxes. Hate is reserved for those, like the Koch brothers, undermining democratic traditions like public unions. Soros supports democratic and open societies. Beck doesn't think that the dollar is going to be worth anything in five years. If the Tea Party remains in Congress and manages to not raise the debt ceiling the next time around, the good faith and credit of the United States will be undermined. If the Tea Party that Beck so loves have their way, the dollar, backed only by the good faith and credit of the United States, will indeed become worth much less. Is there a better reason for an American spring to rise up against the reactionary backlash to the President? Protecting medicare and social security, but they, too, will be worth less if the dollar is worth less or, if Beck is right, worthless. Part II of Gore's call for an American spring is worth hearing. You can link to it by clicking on his picture below.